Entertainment: Am I Jaded, Bored, Burnt Out or Something Else? So this movie called The Cabin in the Woods came out recently, and tons of my friends -- people I love, respect and have many of the same opinions on entertainment -- are thrilled to see it, and are also telling me I need to see it. I know Joss is involved with it (love him). I know Drew Goddard is involved in it (adore him). I know Amy Acker is in it (drooooool). And yet, for some reason, I couldn't be motivated to give anything beyond a whoopsie daisy in its direction. When people tell me I need to see it, I go "meh". When people tell me it's a black comedy, I barely care. This got me thinking recently, what the hell is up with this? I still love Joss (can't WAIT for The Avengers) and I traditionally am on the same level in terms of entertainment as my friends...many of whom I met through Whedon-based fandoms to begin with. I don't feel like I've lost my love of Joss or Goddard or Acker, I just think...I might not care as much anymore, and I'd rather focus my attention elsewhere. This isn't an isolated incident either. For many years I was a TV junkie. I'd watch tons and tons of shows and keep up with as many as I could. Now...meh, I keep up with 3-4. Castle? Haven't seen any of this season, not feeling the need to. Dexter? Same thing, can't be bothered to watch. House? Lost me when Lisa Edelstein left. New shows I'm being told to watch like Once Upon a Time? Not even interested, really. However, I can't wait to see stuff like Abraham Lincoln: Vampire Hunter, Brave, The Expendables 2 or the upcoming G.I. Joe sequel this summer. I've watched How to Train Your Dragon at least 10 times since getting the Blu-ray in February. I continue to watch old shows that are new to me like Black Adder or A Bit of Fry and Laurie, and am loving them all. So it's not like I've lost my interest in movies and TV shows entirely. However, when it comes to stuff I SHOULD be interested in watching, like Castle or The Cabin in The Woods, I can barely register the faintest hint of interest, if that. What the hell is up with me then? Am I jaded? Bored? Burnt out? Am I becoming more selective in my entertainment? Am I changing my focus? I think it might be something of the last one, honestly. While -- for the most part -- I have little interest in watching TV shows these days, or seeing most movies, I am ALL OVER VIDEO GAMES. Even moreso than I was just a year ago. I blame some of this on my blog for helping rekindle my love of gaming, which never died really, but for a long time took a back seat to TV and such. Nowadays, many nights you'll find me playing a game in lieu of watching TV, whether it's for my blog or for my own enjoyment (unless Nicole is around, then we watch stuff together like Black Adder). Video gaming was really my first true love in terms of entertainment (TV was mostly a fling when I was a kid, but it was also a surrogate parent, which I can't really abide), so it makes sense that I'd eventually return to it in full force. But you know what? In the words of Benjamin Sisko, I can learn to live with it. So friends telling me me to watch The Cabin in the Woods, for example, you can stop now. ;) I might, MIGHT see it when it comes to Netflix streaming, but not likely before. I've got tons of video games to play (have you seen the coming soon list on my blog, let alone this?!) and a life to live with an amazing woman, and right now...most entertainment just doesn't have anywhere to fit into it. Do Folks Still Use This? I stopped by LJ today to reference an old post as to why I've not seen a lot of movies, and I was wondering, are y'all still using this thing? I mean most of my little rants are on Facebook and crap now, and I have a focus space game blog called Space Game Junkie where much of my blogging happens, but I've not felt compelled to write here in ages. So please, tell me, are y'all still using this thing on a regular basis? *hugs* Hope y'all are well! We all have milestones in our lives...moments when our lives may change, for better or for worse, that we'll always remember. For me, the entire year of 2006 was pretty much one huge milestone made up of several very important events that have changed my life for the better, and I realized the other day that it's been five years since that decisive year and everything that happened therein. 2006 started off like many of the years before it...unassuming. I had a good job, had been dating a girl for a very long time, and didn't really expect anything monumental to happen...boy was I in for a surprise. So today I'm getting my apartment bug bombed to deal with roaches and pantry bugs. Nicole yesterday helped me take everything out of the kitchen cabinets and the bedroom closets, which wasn't as bad as she thought it would be. I, on the other hand, was worried about my male tuxedo cat, Harry, who is very skittish and loves to hide under my bed. We got my calico, Murphy, in her carrier in relatively short order, thankfully, and then set to getting Harry. At first I was able to grab him -- using heavy duty rubberized oven mitts to avoid scratching -- and get him into the entrance of the carrier...at which time he totally flipped and burst from my grasp to flee under the bed. Harry has torn up a significant portion of the lining under my bed frame, and he likes to climb up into it and hide among the springs and wooden beams. After Nicole, using a metal rod, was able to coax him towards me, I was able to grab him...at which point he clawed THROUGH the heavy duty oven mitts, scratched the hell out of my hand and ran back under the bed once I flinched. After that, Nicole took the mitts and I took the rod, and she was able to grab him...only to also be scratched. After several more attempts, we decided to take off all of the clothes from the bed and just upend it so he'd have no place to hide. Once we did, he ran to hide underneath an old recliner nearby. This recliner was in bad shape, but I kept it for Harry, who really liked sitting on it. Now, he was wedged underneath one of the arms. Upending the chair did nothing, so I got my bowie knife and began carving up the chair so we could get through to him. After tearing up the entire side of the chair, we put the carrier's open top at the underside of the chair so it would be the only other place he could go to besides at us...which he did, and after two hours, we were able to secure him in the carrier, unharmed, but exhausted, poor thing. After we arrived at my girlfriend's place to spend the night, I opened Harry's carrier so he would hopefully come out, which he did four hours later (Murphy came out right away). He's now exploring Nicole's place and hopefully relaxing under her futon (which will be much easier to deal with come tomorrow when we go back to my place). What a weird god damned day. Sigh, today was a really weird day. T'was my last day at work after being told I was going to be laid off two weeks ago, so I was feeling really emotional. In the midst of that had to go to an interview (which I'm not sure about, since one of the two interviewers had "concerns" about my abilities which are fairly focused). It wasn't easy going to that interview with part of me being an emotional wreck half the time, but I held it together I think. I then got word I'd have a phone interview tomorrow afternoon after an in-person interview earlier in the day. Weird up and down day, and now I can't sleep because I feel like my brain is clinging onto the day as if, I fall asleep and wake up, the full reality of being unemployed will hit me. Tomorrow will be my fourth in-person interview and my fifth phone interview. Sigh, I also cried on the way home. Kind of a mess, I am. I'm gonna miss those folks a lot. I've said it before, but this was the only job I've ever had where I truly liked everyone. So tomorrow I have the two interviews, and likely another interview next week. I also applied for unemployment online today. It all just feels so...surreal...It's all over the damned place, this life I lead right now. Thankfully I have an amazing girlfriend. so many wonderful friends and adorable cats to keep me somewhat grounded and sane. Anyway, sorry for the rant that was all over the damned place. Hope y'all had a great day today. Whedonopolis 3rd Annual Charity Dr. Horrible & The Guild Screening - 10/30 - Tickets on Sale Now! Note, these aren't exactly the same as the ones I have, but they're close enough. The tattoo began as a tribute to my second favorite show Firefly and the movie Serenity, in which exists my favorite spaceship ever, Serenity. I then began to think which other words mean the most to me, and came up with the other three. The general idea right now is to have Serenity be the largest character in the center, with the other three words in smaller characters circling it as if in orbit as part of a circle surrounding the Serenity character. I personally can't wait for this one, and will be getting it around December. I also have my fourth tattoo planned out, as a tribute to my two favoritest video games ever, Freespace 2 and Starflight. 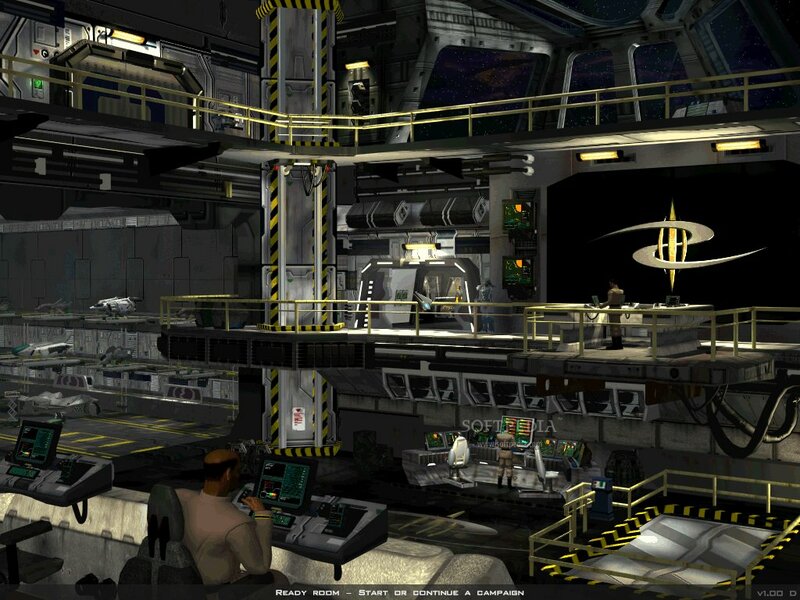 If you look here, you'll see a large S-like symbol on the main screen, which is from Freespace 2. If you look here, you'll see a large I-like symbol from Starflight. I plan to have these two mixed together and put on the inside of my left forearm. That one will be next year. If you follow me on Twitter or Facebook, you know I've been gushing about my new 2008 Honda Fit Sport (named the Resolute) which I got last Thursday after returning the Sentra back to Nissan, so I felt the need to write one big blog post to just get it all out there. ;) I've driven the thing allll over SoCal, from the south bay to the Valley, and all I can say is...I love it.